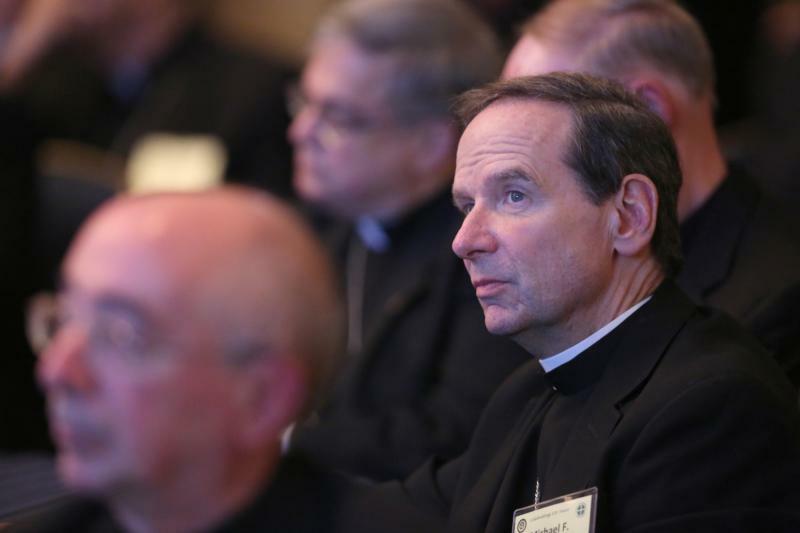 BALTIMORE (CNS) — Four U.S. bishops and one archbishop, all graduates of St. Charles Borromeo Seminary, were named the new chairmen of several committees of the U.S. Conference of Catholic Bishops in voting by all the bishops Nov. 14 during their fall assembly. Archbishop Allen H. Vigneron of Detroit will be the next secretary of the U.S.C.C.B., taking office next November. The bishops voted 96-88 to elect Archbishop Vigneron. He will succeed New Orleans Archbishop Gregory M. Aymond, who is starting his third and final year of his three-year term. The Detroit prelate will serve one year as secretary-elect and then start a three-year term in office at the conclusion of the 2018 fall general assembly. Archbishop Joseph E. Kurtz of Louisville, Kentucky (who is a 1972 graduate of St. Charles Seminary and ordained for Allentown), was elected over Archbishop Jerome E. Listecki of Milwaukee as chairman of the Committee on Religious Liberty by a 113-86 vote. He was to assume his duties at the conclusion of the assembly. — Committee on Communications: Bishop Michael F. Burbidge of Arlington, Virginia (St. Charles Seminary class of 1984), over Bishop John O. Barres of Rockville Centre, New York, 116-70. — Committee on Cultural Diversity in the Church: Bishop Nelson J. Perez (St. Charles Seminary class of 1989) of Cleveland over Bishop Shelton J. Fabre of Houma-Thibodaux, Louisiana, 102-77. — Committee on Doctrine: Bishop Kevin C. Rhoades (St. Charles Seminary’s College Division class of 1979) of Fort Wayne-South Bend, Indiana, over Bishop Daniel E. Thomas (also a St. Charles graduate, ordination class of 19xx) of Toledo, Ohio, 110-95. — Committee on National Collections: Bishop Joseph R. Cistone (St. Charles Seminary class of 1975) of Saginaw, Michigan, over Archbishop Michael O. Jackels of Dubuque, Iowa, 124-65. Bishops also chose six members from among eight nominees for the Catholic Relief Services board of directors. Re-elected were Archbishop Thomas G. Wenski of Miami, Bishop Edward J. Burns of Juneau, Alaska, Bishop Felipe J. Estevez of St. Augustine, Florida, and Bishop Rhoades. New members are Archbishop Bernard J. Hebda of St. Paul and Minneapolis and Bishop Fabre. Not elected were Bishop Jaime Soto of Sacramento, California, and Auxiliary Bishop Oscar A. Solis of Salt Lake City.